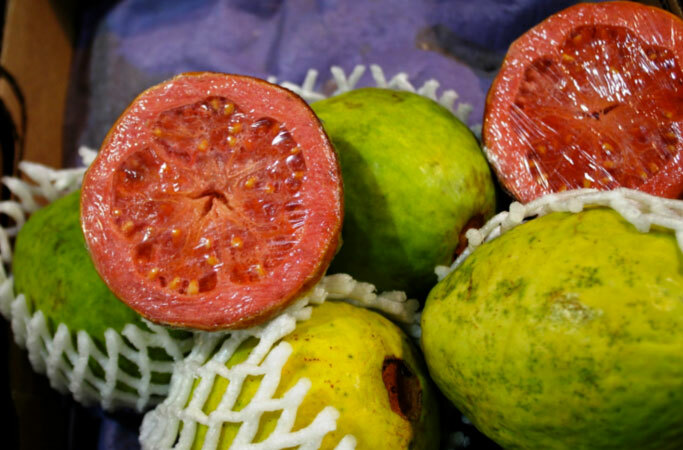 Georgina once again joins Shades of Cinnamon as she shares her love of Markets of the World, guiding us into Curitiba, Brazil and the indoor Mercado Municipal. 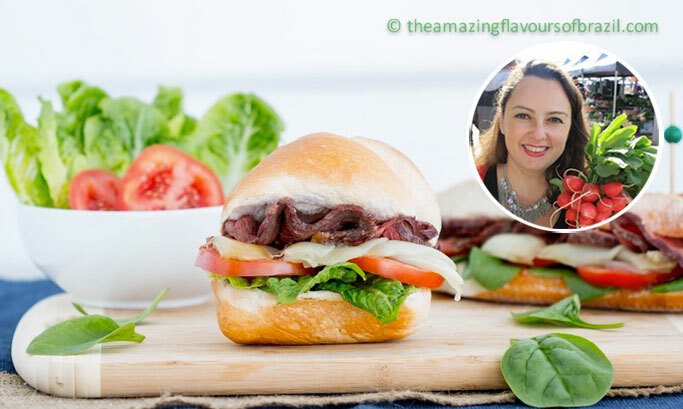 Try some of her delicious recipes on her fantastic blog The Amazing Flavours of Brazil. The city of Curitiba is best known for its unusual transport system in which gigantic red buses have their own lane and people wait for their bus in enter inside stations that look like big transparent tubes. 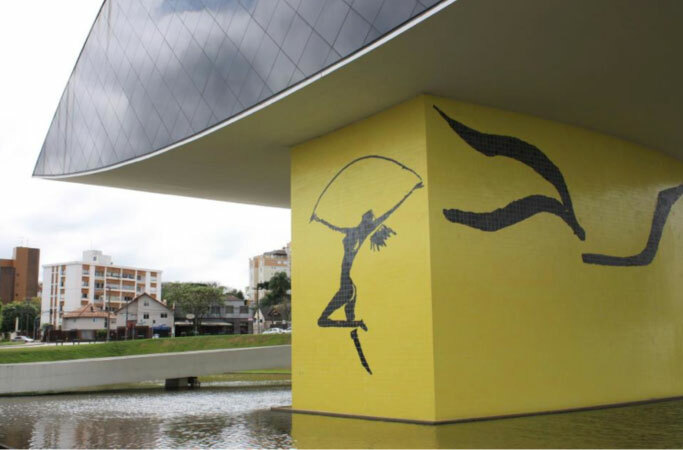 Located in the South of Brazil and the state capital of Paraná, Curitiba is one of the top touristic destinations of Brazil for many reasons. 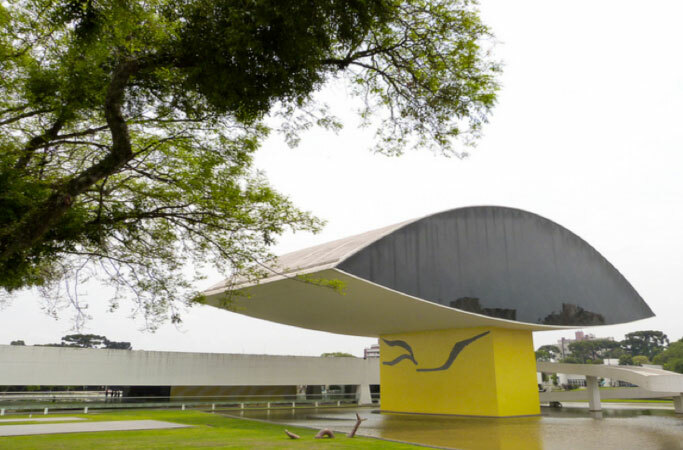 The Eye Museum (Museu do Olho), designed by world-renowned Brazilian architect Oscar Niemeyer, was named like that because its building literally has the shape of a Big Eye and it’s where one can see some of the most important art exhibitions of Curitiba (see picture below). Another interesting attraction is the Opera de Arame or Wire Opera House a theatre almost entirely made with wire frames that was built over a lake. If you ever have the chance to go to Curitiba, try to get tickets to see a concert over there for a surreal experience. The city centre is also a must see, particularly the street called Rua XV de Novembro, a place that is totally dedicated to pedestrians, shoppers and artists. The street is a vibrant lifestyle destination which offers a dynamic mix of stores, cafes, restaurants and street entertainment. Saturday morning is the best time to have fun and don’t be surprised if you suddenly come across someone playing saxophone or a band playing Andean music. If you enjoy art, there is always a sketcher nearby to draft you a picture or people selling paintings with a local-landscape theme. Just a few blocks from the heart of the city is the old city centre known by the locals as Largo da Ordem. 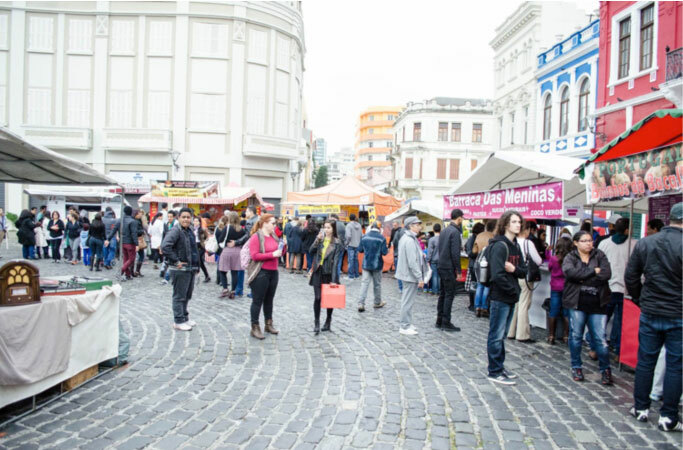 This is the place where you head with friends and family to enjoy the nightlife or a good restaurant and it is also the location of the largest outdoor market of Curitiba or Feirinha do Largo which takes place every Sunday. 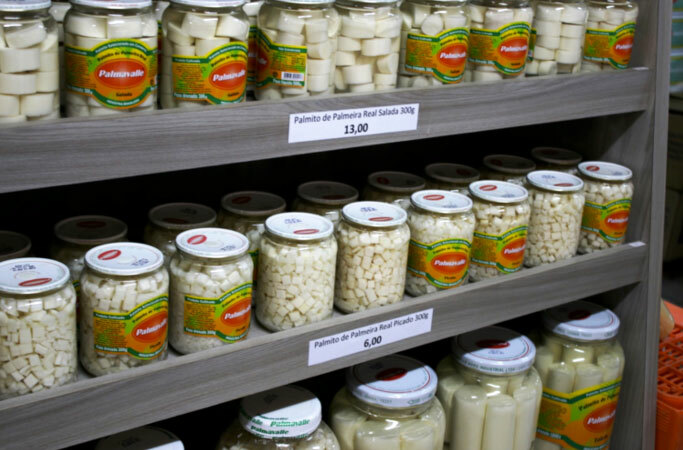 Just across the Central Bus and Train stations is where another hidden treasure of Curitiba is located: the indoor diversity market called Mercado Municipal. 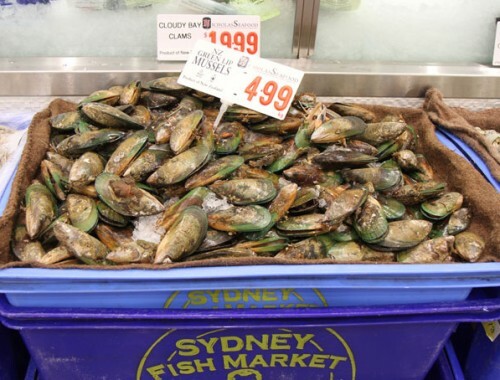 The concept of the market dates back to the 1860, however it officially opened in 1958. The smell is so close to memory isn’t it? 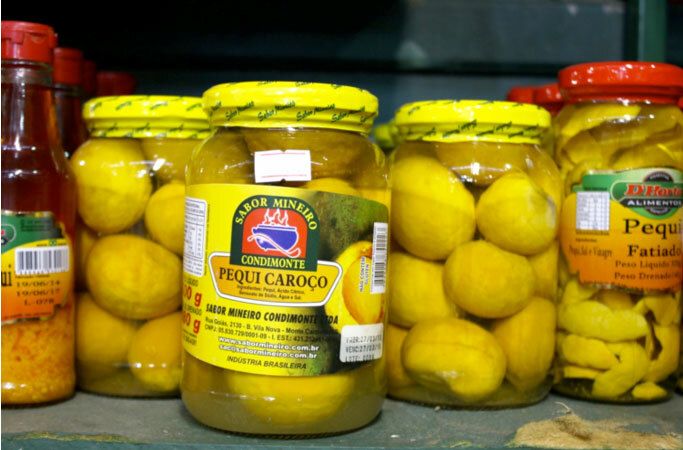 The smells that remind me of this market are mix of spices, cheese, fresh seafood and tropical Brazilian fruits. 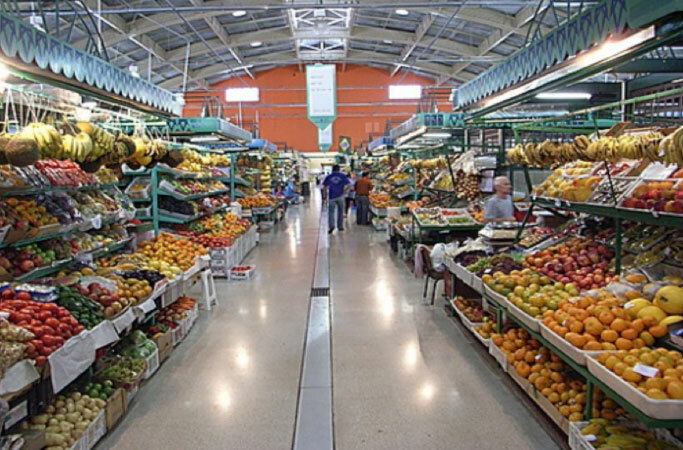 Mercado Municipal is a very exciting place for foodies, cooks or to take the family to have lunch and shop. The quality and variety of produce is outstanding. It’s in there where you can find produce you wouldn’t find anywhere else in town, for example exotic Brazilian fruits from the Amazon and imported fruits and vegies. The stallholders are very friendly and open for negotiation, so don’t be shy and always ask for a discount. 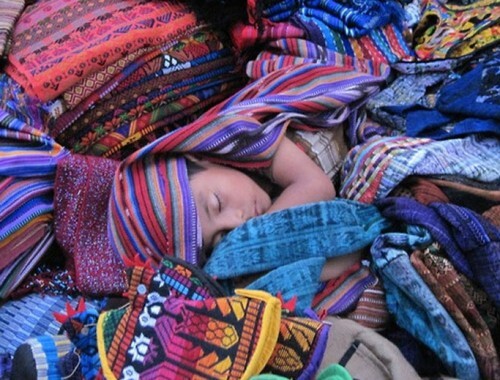 At this market it is possible to buy so many interesting things that I don’t even know if I am able to list everything here. 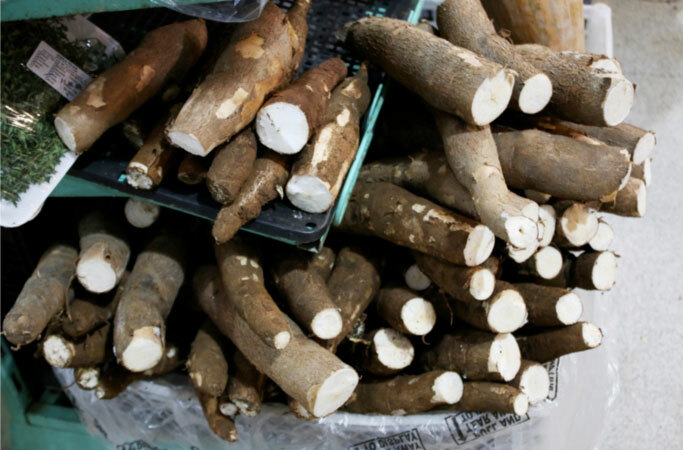 Starting with Brazilian produce, you can find many types of cassava (also known as manioc or yucca), pinhão (a type of local pine nut), guavas and Brazilian preserves like guava paste, pequi conserve, preserved chillies and hearts of palm. 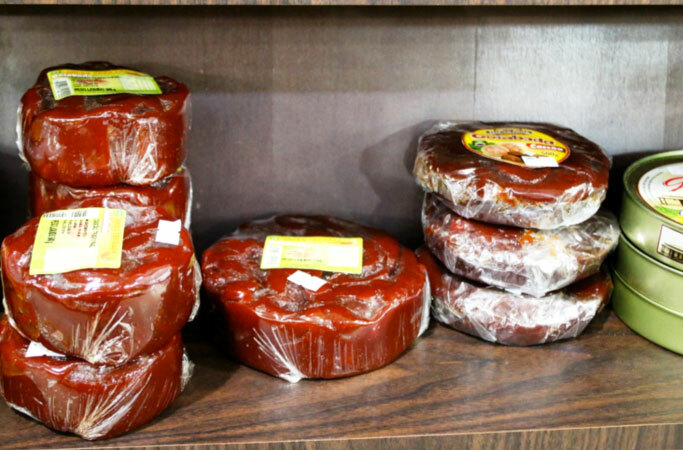 There is a stall totally dedicated to preserved hearts of palm or “The House of Coconut” that only sells coconut products like coconut milk, shredded coconut, sweets and coconut water. 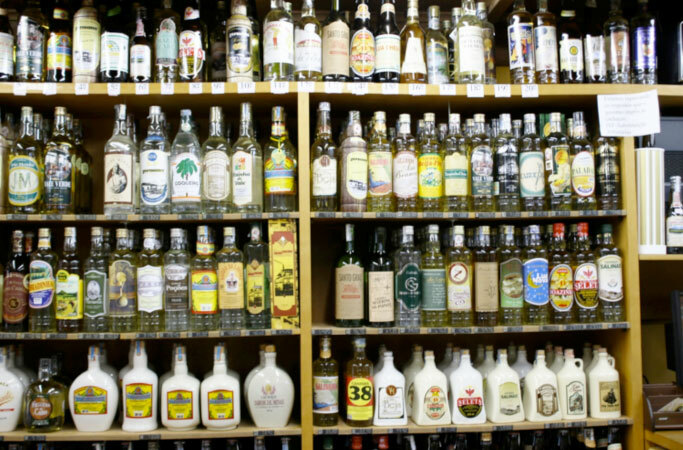 There are also a plenty of gift shops, liquor stores and delicatessens to choose from. 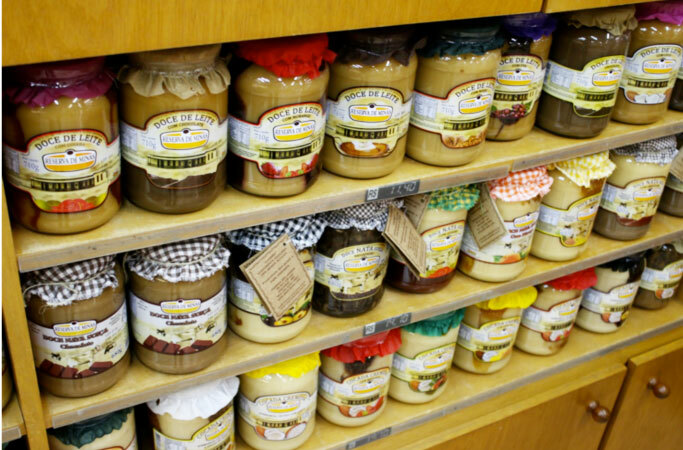 My favourite is Lá de Minas, a specalty shop that sells products from the state of Minas Gerais like fruit conserves, dulce de leche (or doce de leite), hundreds of types of cachaça, Brazil’s national spirit and crafts. 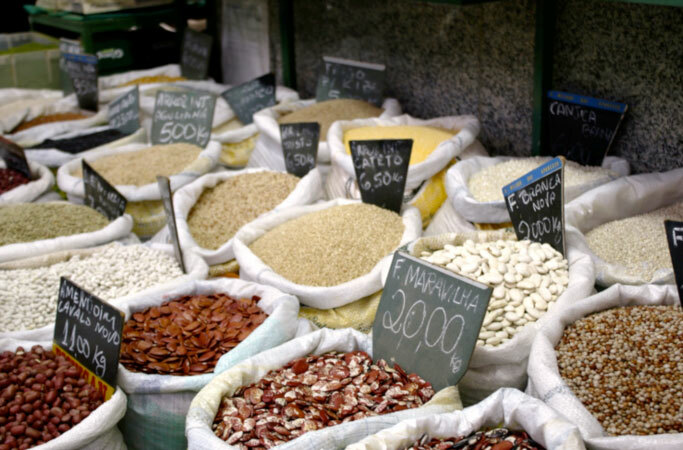 Other foods available include pulses of all imaginable shapes and colours, smoked and cured meats, dried cod (baccalá or baccalao), nuts, dried fruits, cereals and pasta. 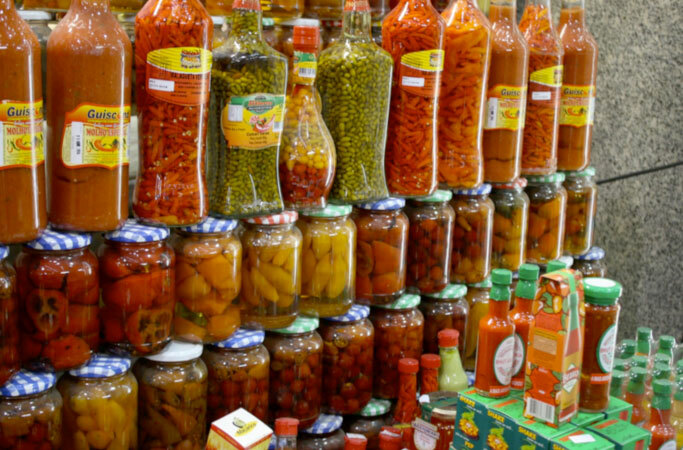 Pulses of all imaginable shapes and colours….don’t you feel hungry just by looking? At Mercado Municipal it is also possible to quickly travel around the world and buy some Middle Eastern spices, Lebanese breads, Arabic sweets or how about Japanese food? If you like Japanese tastes you will be in heaven, from I can remember there are at least 4 stalls that sell Japanese food (both fresh and processed). In case you prefer fresh meats, don’t worry, you have plenty to choose from, there are a couple of butchers and quite a few seafood shops. If you are looking for a non-food-related gift, why not try the pet shop, florist, kitchenware, jewellery store or handcrafted items. There is also a barber, a chemist and a news agent. At the food court, there are a couple of restaurants that have a Brazilian-style smorgasbord buffet, cafes, an organic food restaurant, amongst others. The market has been recently renovated and renovations included an inclusion of a gourmet kitchen for events and addition of signs in three different languages. Images and text copyright: Georgina Ribas, except where noted. The Fruit looks amazing !!!!! 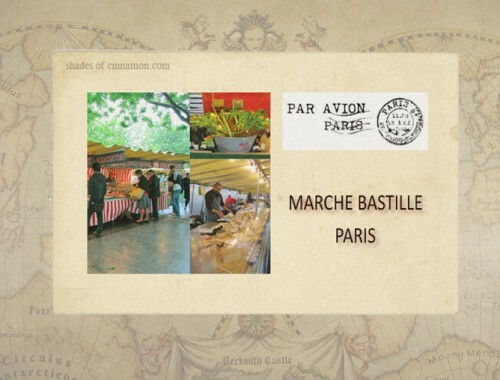 Thanks Georgina for writing such an interesting post for Shades of Cinnamon. so wonderful to have you on board. This came together so nicely Ev! Thanks for the opportunity to share once again a market I know and enjoy here in your lovely space!